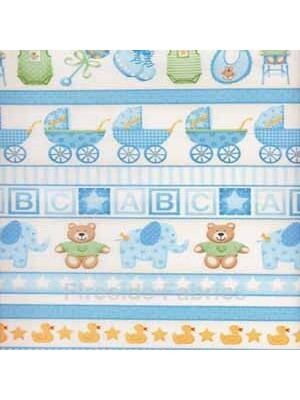 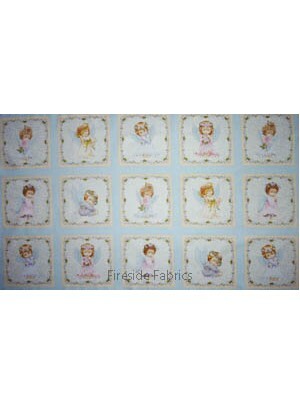 Fabrics to make baby his or her first quilt always to be treasured. 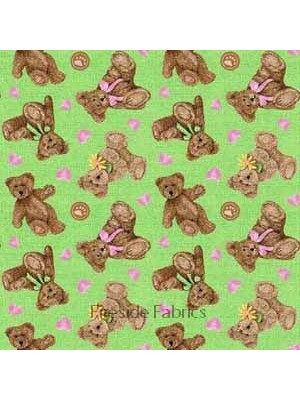 Adorable little bears dressed in tutu's dancing on a cream background 100% cotton fabric for Patchwork & Quilting If ordering a quarter met..
Bears and rabbits on a pink background 100% cotton If ordering a quarter metre only it will be sent to you as a fat quarter. 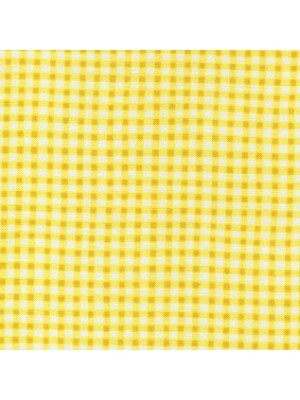 A fat quarter measures..
Yellow and white gingham 100% cotton If ordering a quarter metre only it will be sent to you as a fat quarter. 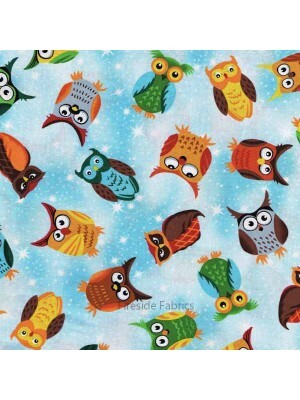 A fat quarter measures approx 20”x22..
Colourful owls on a starry blue background 100% cotton If ordering a quarter metre only it will be sent to you as a fat quarter. 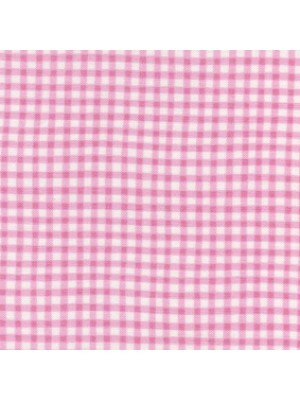 A fat quarte.. 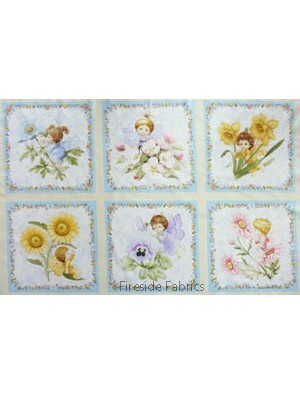 Flowers on a blue background 100% cotton If ordering a quarter metre only it will be sent to you as a fat quarter. 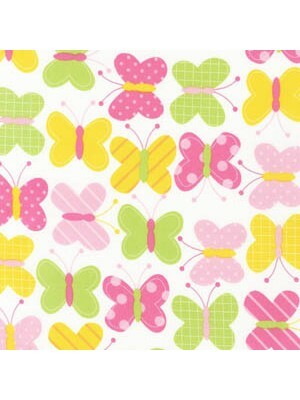 A fat quarter measures approx 20..
Multi coloured butterflies on a white background 100% cotton If ordering a quarter metre only it will be sent to you as a fat quarter. 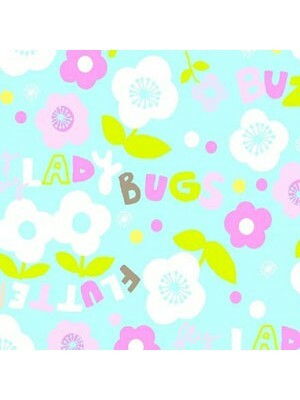 A fat quarte.. 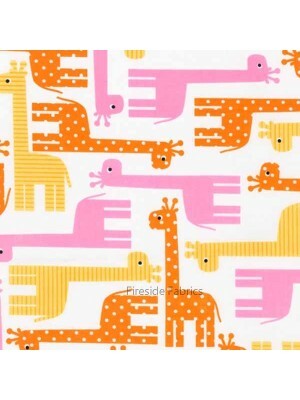 Giraffe in pink, orange and yellow on a white background 100% cotton If ordering a quarter metre only it will be sent to you as a fat quarter. 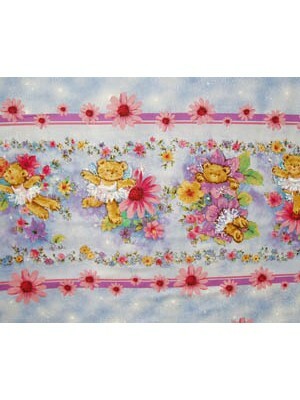 A fa..
Teddy border stripe has dancing teddies in tutu's on a lilac-blue background FABRIC IS PRICED AND SOLD PER STRIPE The stripe is approx..
Blue, purple and white stripes The stripe runs the length of the fabric 100% cotton If ordering a quarter metre only it will be sent to you as..
Angels and Fairies by Ami Morehead Cute little fairies flying amounst the flowers on a light blue background, embellished with metallic silver 100% c..
Angels and Fairies Panel by Ami Morehead The panel measures approx 44" x 24" (112cm x 61cm) This panel consists of 6 pictures of Fairies. 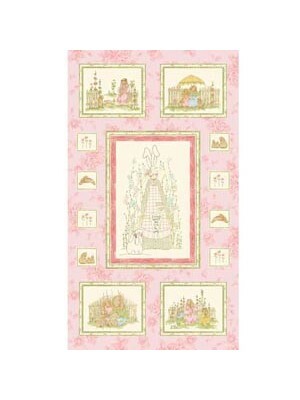 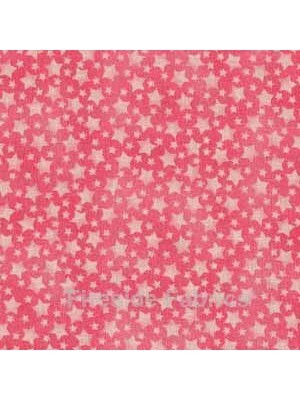 ..
Angles and Fairies Panel by Ami Morehead The panel measures approx 44" x 24" (112cm x 61cm) This panel consists of 15 pictures approx 7" x 7" ..
ABC squares in pink on a white background 100% cotton If ordering a quarter metre only it will be sent to you as a fat quarter. 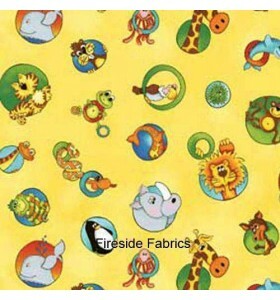 A fat quarter measu.. 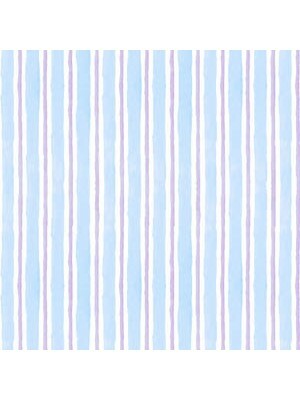 The border stripe is approx 10" (26cm) wide and runs the length of the fabric. 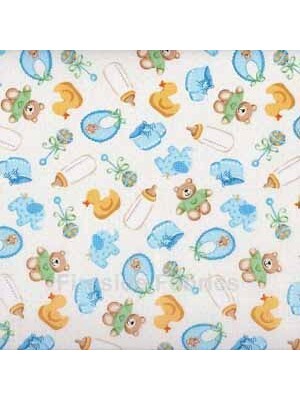 There are 4 stripes across the width of the fabric It has baby t..
Baby bibs, toys, booties and bottles scattered on a white background 100% cotton If ordering a quarter metre only it will be sent to you as a fat qu..
Bears playing football on a green background 100% cotton If ordering a quarter metre only it will be sent to you as a fat quarter. 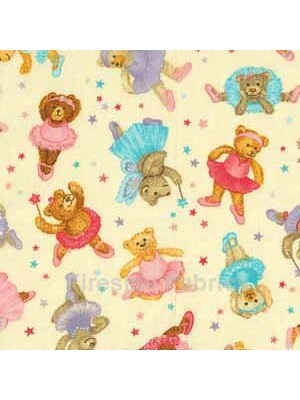 A fat quarter me..
Belinda Bear in her ballet outfit The cot panel measures approx 44"L x 36"W (112 x 92cm) Perfect panel if your a beginner to quilting or need to mak.. 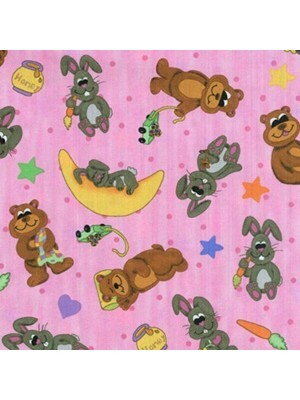 Very pretty panel of cute bunnies in pinks and greens. 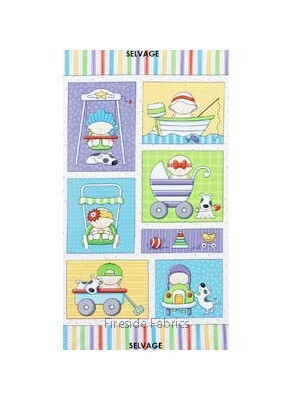 Designed by Arlene Neeley from Rabbits Haven 100% cotton The panel measures approx 24" .. 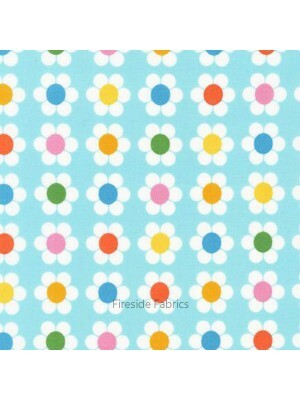 Pretty flowers on a blue background 100% cotton If ordering a quarter metre only it will be sent to you as a fat quarter. 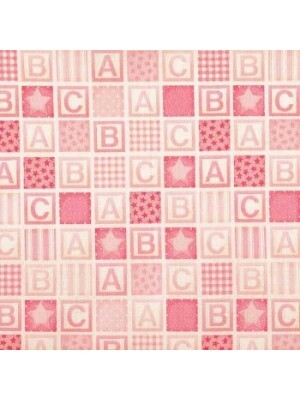 A fat quarter measures ap..